Dear Mr. Mowry, Chief Information Officer, Cuyahoga County, Ohio - Welcome Home. Submitted by Norm Roulet on Mon, 02/28/2011 - 18:17. Without a doubt, you hold the most opportune and important office in the region, today, and I wish you great success. As a citizen of the community, and Information Technologist, I strongly support the establishment of your position as the most important accomplishment of the county transformation process to date. 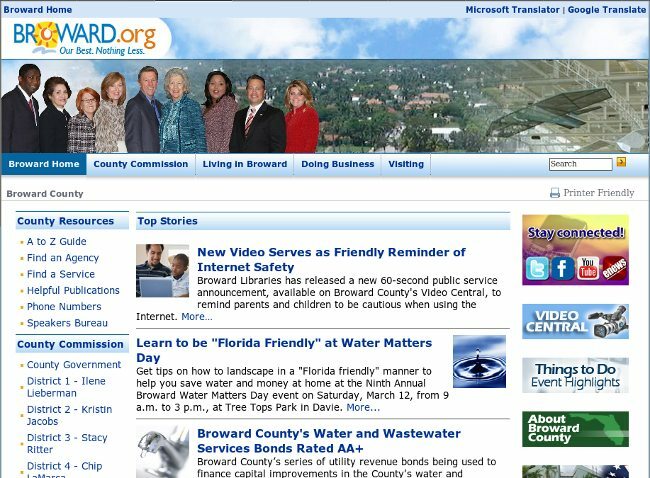 Your visible accomplishments with government information technology evident on http://www.browardshines.com/Pages/Welcome.aspx suggest you are an excellent selection for this most important job. Successful, the benefits you shall bring to us, your residents, stand to be historic. I won't belabor you with my perspectives on why or how, but will appreciate the opportunity to meet some time, congratulate you in person, and share insight I may offer from the streets. I warn you in advance, I shall preach open source opportunities here, for government and citizens. And, I shall insist we improve our environmental monitoring, modeling and awareness through world-class information technology, and may suggest sources of Federal funding for that. Norm [at] realneo [dot] us. Your Broward website looks excellent and makes me confident we a have great, positive, transformational change agent on hand now in Cuyahoga County, to help lead us forward in the challenging times ahead. Such transformation is only possible through world-class information technology. P.S. Never stop embracing that Broward County motto - Our Best. Nothing Less! Perhaps we may open source that to here? !